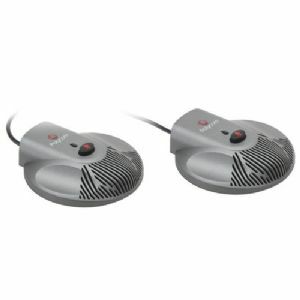 The Polycom 2200-07840-001 Extra Mic Pods With Cables is made perfectly for your SoundStation 2W. This set includes two microphones for optimal expansion of your communications station(s). Polycom has evolved to become the worldwide leader in market share for best in unified collaboration solutions that help organizations meet both productivity and cost containment challenges. Polycom is committed to preserving the environment through the solutions we provide, the reduced need for business travel that our products enable, and by reducing the global impact of our own operations.Polycom telepresence, voice, video, and network solutions lead the industry in market share and innovation. Our products incorporate top-of-the-line technology which makes every communication and "virtual presence" meeting as natural as working together in the same room.